Oooooh! The plot in the Katy Perry/Robert Pattinson saga thickens! Just when we thought it was safe to think Rob was casting Kristen Stewart aside for the perkier breasted Katy, Us Magazine pulls the rug right from underneath us. Could Katy have been using her touchy-feely relationship with Rob to make ex-boyfriend John Mayer jealous? Could be. According to the mag, Mayer was a guest at Katy’s Memorial Day party this weekend and the former couple were uber flirty and all over each other leading some to believe they are back on. Where was Rob? People’s magazine source spotted Rob and Katy at a wedding on Saturday but he’s been MIA since then. 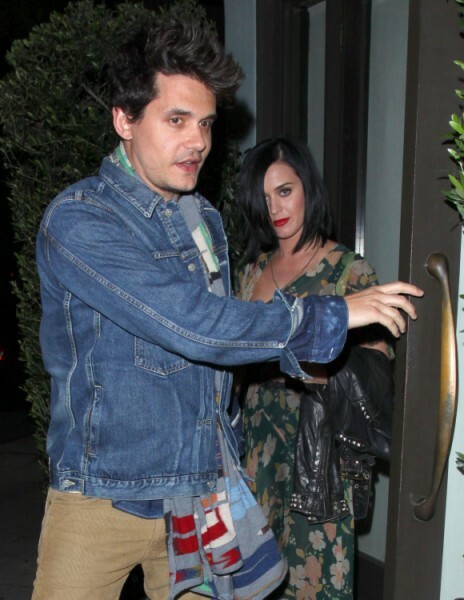 If he and Katy were getting it on for realsies don’t you think he would have been at her party along with Mayer? Perhaps that’s the next scoop courtesy of People. It’s hard to believe what’s going on here. The magazines are definitely battling for post-Twilight relationship supremacy coverage. But I have to say… Us magazine’s story makes more sense to me. Let’s face it – Rob and Katy? Doesn’t she seem like way too much woman for him? And it’s not the rudest thing to believe she might have been using Rob to make John sit up and take notice. It’s not like it’s an effort for her to hang out with the dude. They’re obviously friends. Why can’t she be a shoulder for him to cry on and use him to piss Mayer off as well? Regardless of her intentions, it worked. Mayer’s sniffing around again. And that’s gross. I’m not for a Katy/Mayer reconciliation. I much prefer the gossip of a Kristen/Rob/Katy triangle. But I’m just not feeling it. I don’t know gossip friends… could Katy and Rob truly be platonic? Is Katy Perry using Robert Pattinson to make John Mayer come crawling back? Robert Pattinson Spending All His Time With Katy Perry – Is Kristen Stewart Jealous? Robert Pattinson & Katy Perry Spotted On A Wedding Date – Are They A Couple? Kristen Stewart Holding onto False Hopes: Believes Robert Pattinson will Come Running Back!